Mid-Atlantic #2 was nearly two weeks ago, but life has been extremely busy and I have not had time to blog about it. Team Gone Rogue was again without member, Val. She was home recouping from having her little girl. Abby stepped up to the plate, borrowing the amazing Captain from Stacey, and rode like a pro. Abby played games many moons ago, and now mostly events. But you would never guess this watching her play. Not only is she accurate, but she vaults and he is an awesome person to ride with. Laid back yet supportive. Reflecting on my own riding, I was moderately happy with myself. I made a few silly mistakes, although they were quick fixes, they still ate up time. I had to circle in Windsor for my put down of the turret. My balloon stick was way too long and I had to circle for my pop. I did have one horrible race, ball and cone. Poe was a total asshat for that race. Everytime I leaned down to place the ball, he backed up. 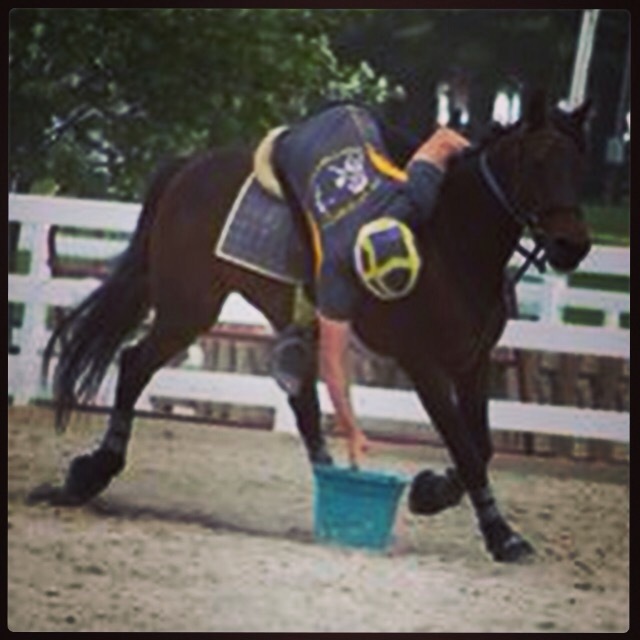 When I was leaning he did a backup swing (one of my pony moves) and threw me up on his neck. He even pushed off and let out a nasty little buck. Every team finished and I was still going (third rider on my team) and just waiting for the whistle when I finally got it. Lame. My one happy mistake was in the fossil specialty race, Margarita Race. I went first and had the cup salted and needed to place it on the end bin. Typical me, I over thank it. ‘The glass is light plastic, slow down.’ And in my over thinking I knocked if off the bin. I dismounted, replaced it, remounted, and finished the race. Now this may sound like a typical correction for 99% of the games population. But I in particular have had a lot of issues mounting. Not only do I have back and leg issues but my saddle has been rolling around on my round, narrowed withered pony. I *almost* have these issues worked out, but my confidence is not solid, nor is my saddle. When I turned from my correction to get back on I thought “oh crap”. I actually glanced around to see if there was a rise in the ground to use to my advantage. While I was thinking about this, my body went into auto play, and remounted on its own. Go Me! As a team we finished fourth. Not bad and I am certainly not complaining. We had a few rough races but all in all we rode pretty decently. I think we mostly got trumped in speed. Which is something we were lacking at this competition. Poe is not the fastest pony out there, but I am still riding rather conservatively. Although I did feel I did better with some of our ride order changes and pushed myself along a bit more. It was a good competition. 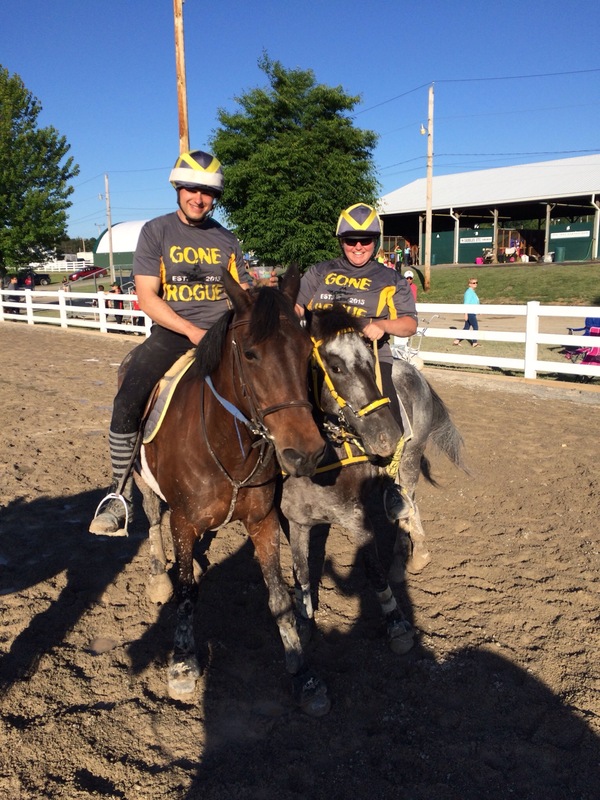 Go Team Gone Rogue! This photo has an image of Averi on her pony Peyote on top, and an image of Averi on my pony Poe on the bottom. the ponies are in nearly the exact same positions. 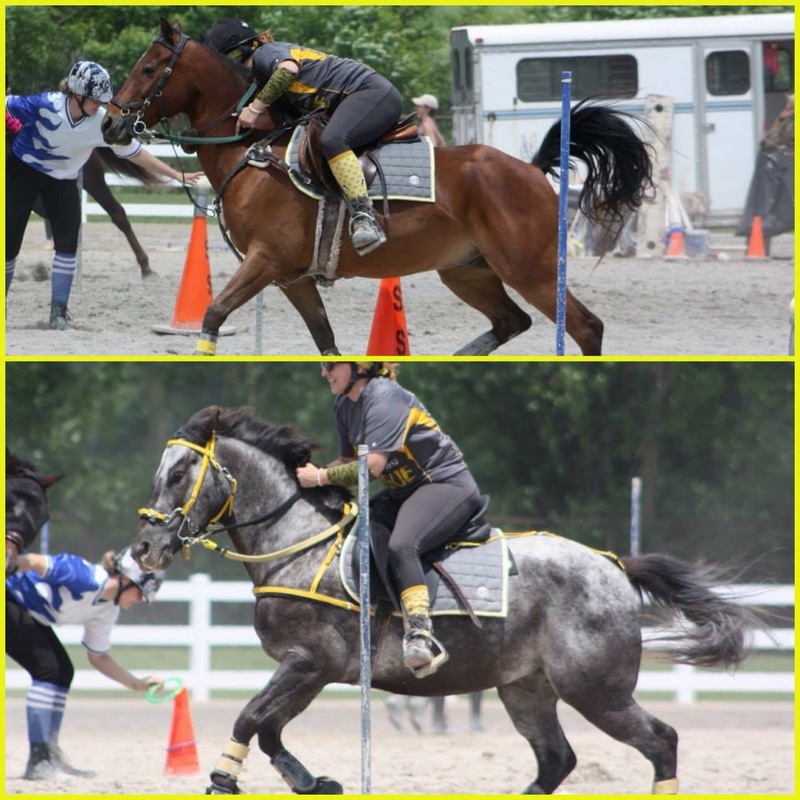 The rider in the background is also the same rider in both photos, also almost in the same position. Averi noticed this and I found it pretty neat. I believe it was Windsor on top and Quoites on the bottom. Zombies will not get my ponies!